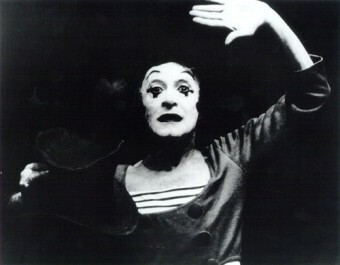 So farewell then to Marcel Marceau, the world-renowned French mime artist, who has died aged 84. 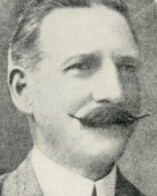 His inspiration was the great comedians of the silent era, and his several films and many television appearances in a way carried on the art of silent film comedy, even if the art of Chaplin, Keaton, Lloyd and co was about rather more than simple mime. They did not engage with an invisible, imagined world; they faced a very visible reality head on. Their pantomime helped them speak to all, but it was the way they reflected social experience that gave them their true popularity. 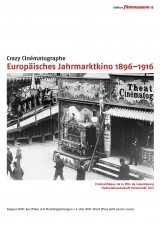 The Crazy Cinématographe DVD of the varied and strange kinds of film that featured in the touring fairground shows of Europe in the early years of the 20th century has already been reported on by The Bioscope. It has been doing so well that the first edition of 1,000 copies has sold out in just ten weeks. A second pressing is now available, information on the Edition Filmmuseum site (in English).